We love all outdoor recreation Montana has to offer! 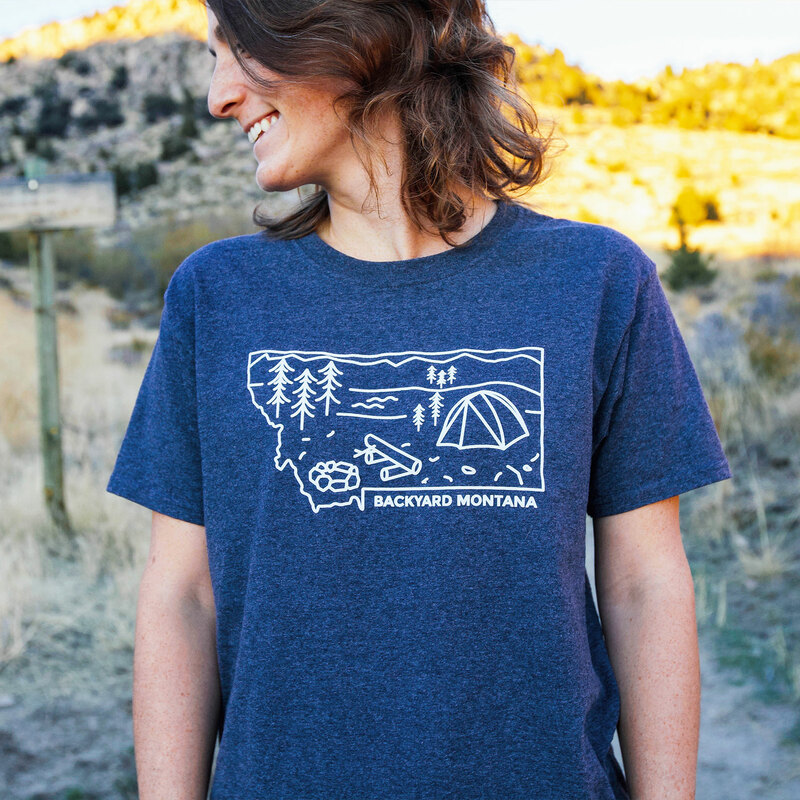 We hope you can remember or see yourself in this Montana camping scene. 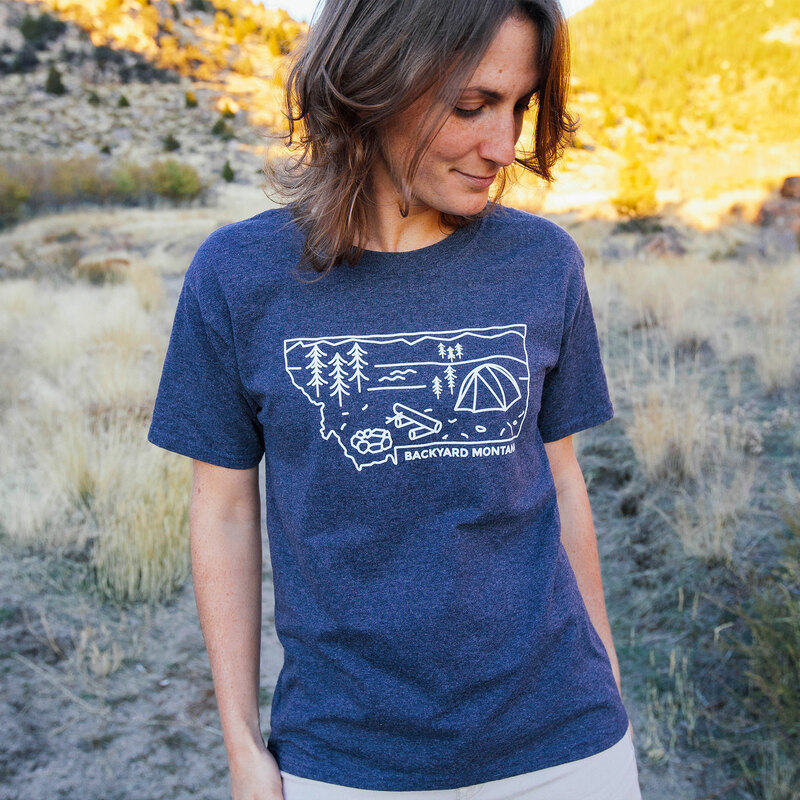 This design was based off one of our favorite Montana experiences. Wash cold inside out. Tumble dry on low. A Backyard Montana Original Design. 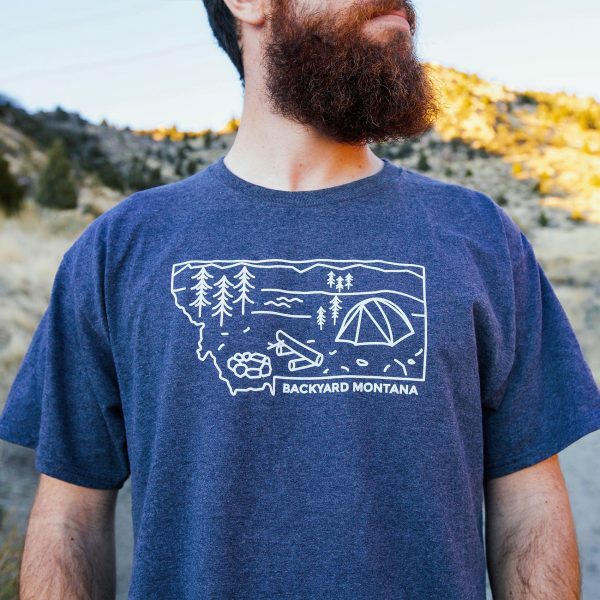 All designs are property of Backyard Montana. 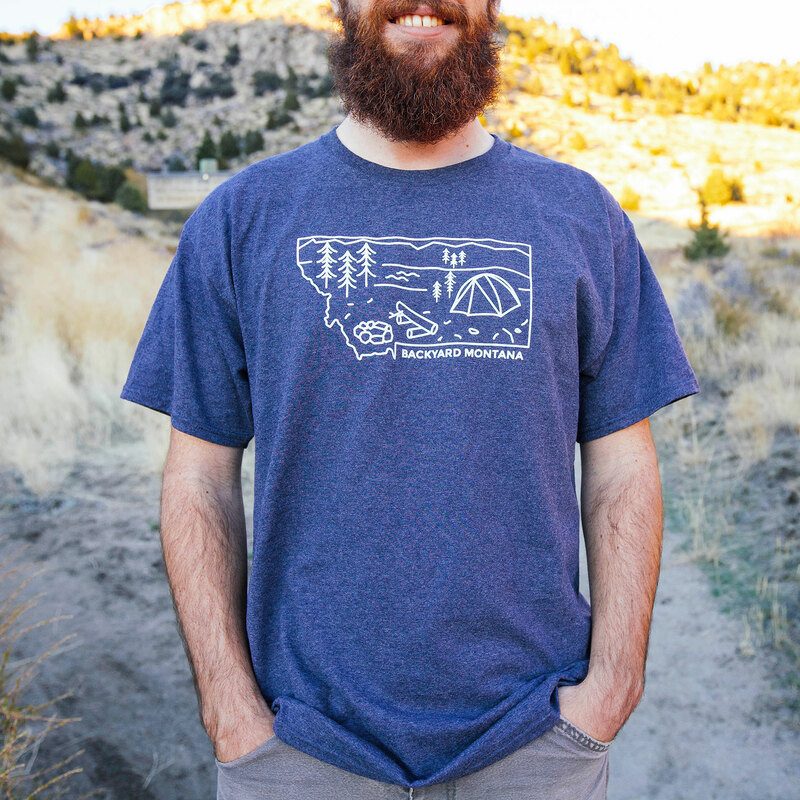 Male model is wearing a size medium. Female model is wearing a size youth extra large.